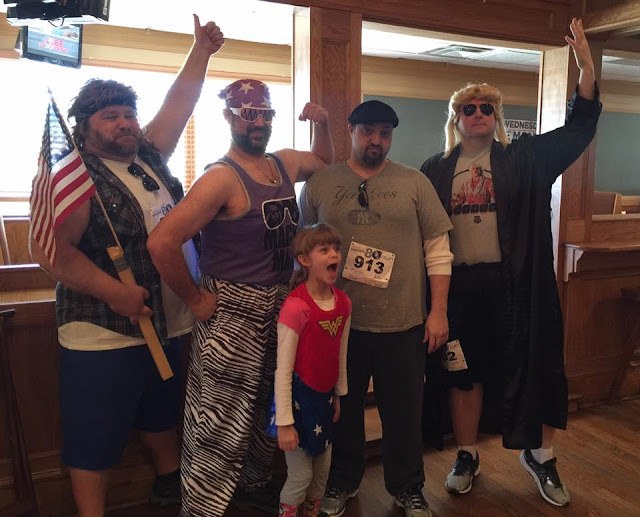 This past weekend, my friends and I participated in The Totally Awesome 80's Run in Somers Point, NJ. As we are what you might call "non-traditional" runners, we didn't get any medals. However, I think we did really well. As a team (Team Hulkamanicas, that is) we came in 2nd in the Team Competition (beat out by Team Pac-Man) and I won the "Best Dressed Man" competition. That second one was partly because I was the only one gutsy enough to take part. Yes, I lost to a little girl. Wanna make something of it? The best part, to me anyway, came a couple of days later. You see, I got my run time e-mailed to me within minutes of my finishing (ain't technology grand?) and that was 31:58. Not bad, right? Well, I didn't look at my previous race time, from The Rocky Run, until Monday. That time was 33:14, also for a 5K race. So I improved by 1:16 in 6 months! Wow! 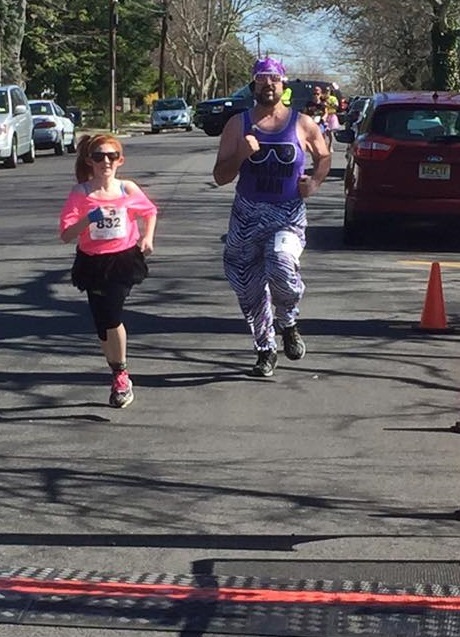 We're all looking to do more themed runs in the coming year, so if you know of any in the South Jersey area, please let me know. As you can see from the picture, we have no shame, so pretty much anything goes.